Intimate lifestyle photographer based in Honolulu, Hawaii. Graduating in 2011 with a B.A. 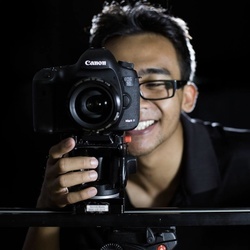 in creative media: digital cinematic production, my career started off as a wedding videographer. In the year of 2015, my love of still-imagery grew the moment I've seen the portrait work of international photographers like Sean Archer and Peter Coulson. I've always wanted to become an artist and found that photography was the only artistic medium that I can use to truly express myself creatively.